Naomi Watts and Rebecca Rigg at the premiere of "Ellie Parker" during the 2005 Sundance Film Festival. Rebecca Rigg and Simon Baker at the premiere of "Ellie Parker" during the 2005 Sundance Film Festival. Naomi Watts and Rebecca Rigg at the premiere of "Tank Girl." Rebecca Rigg at the premiere of "Tunnel Vision." Rebecca Rigg and Simon Baker at the "Une Nuit Aux Folies-bergere" Fundraising Ball. Rebecca Rigg and Simon Baker at the pork chop launch. Simon Denny Baker, Kym Wilson and Rebecca Rigg at the premiere of "PERICLES." Simon Baker and Rebecca Rigg at the Counter Aid. Rebecca Rigg at the Counter Aid 1992. File photo of Simon Baker and Rebecca Rigg. Rebecca Rigg and Simon Baker at the 2005 Lexus Inside Film Awards. Rebecca Rigg at the premiere of "The Others." 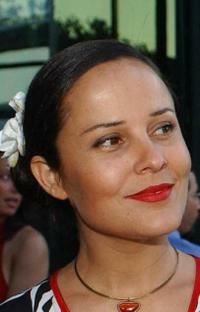 Rebecca Rigg at the premiere of "Ellie Parker." Rebecca Rigg and husband Simon Baker at the premiere of "Ellie Parker." Simon Baker and Rebecca Rigg at the premiere of "The Affair of the Necklace." Naomi Watts, Imogene Annesley and Rebecca Rigg at the premiere of "The Affair of the Necklace." Jeremy Sims, Rebecca Rigg and Hugo Weaving at the opening night of Drama Theater in Sydney. 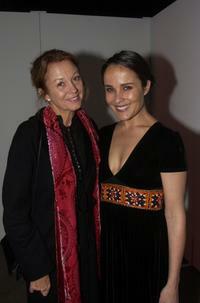 Mary Simmonds and Rebecca Riggat the opening night of Drama Theater in Sydney.